I am starting a new guest post feature on my blog. It is going to center around writing tips and writing advice. It will likely be irregular, but that's okay. I'll try to label each of the posts under Writing Tips so that once I've got a good store of them, you can just click on that and access them all. For my very first Writing Tips post, I've invited the lovely Katie Mettner. 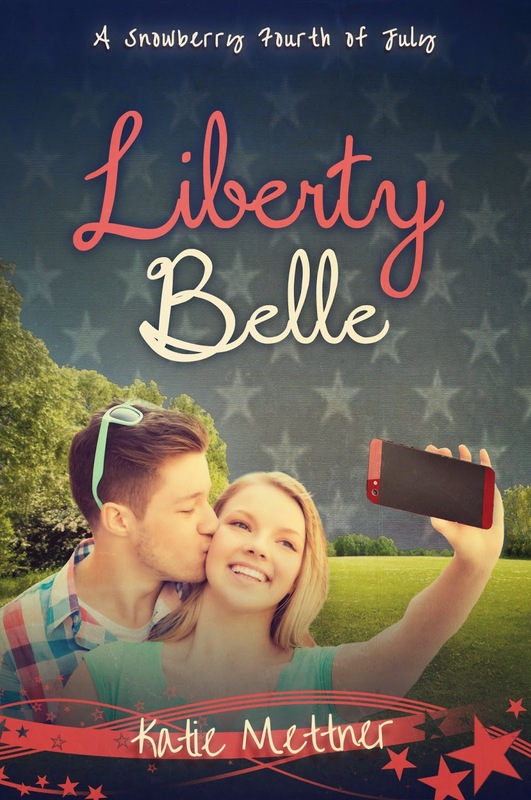 Right now, she is promoting her new novel, Liberty Belle on Kindle Scout. So you'll hear a little about that and then Katie will go into 7 of her tips--all of which I found incredibly useful. In fact, these are truly writing tips to live by, if you ask me. Thanks for having me over to your blog today, Lisa. As you mentioned I have a new book up for nominations in the Kindlescout program. 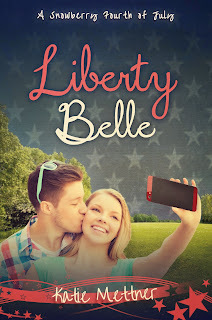 Liberty Belle is the fifth book in the Snowberry Series. Liberty lives in Snowberry, Minnesota and her life is about to be turned upside down. Bram Alexander, the local newspaper photographer, plans to be there to catch her. In this series, the main character has a fun holiday name and it takes place over the holiday season. In this book, Liberty Belle is the name of the bakery on Main Street of Snowberry, and is owned and run by none other than Liberty Belle. Lib, to everyone who knows her, has been running the family bakery since her dad passed away three years ago. She doesn’t have time for physical impairments OR Bram Alexander. Photographer Bram Alexander has his viewfinder focused on the only sweet thing in Snowberry, Minnesota - the beautiful Liberty Belle. Handed the reins to her family’s bakery early in life, Liberty works nonstop to protect their legacy. When Bram finds her on the bakery floor injured and alone, Liberty must decide if her tattered heart can trust him with her secret. Armed with small town determination, and a heart of gold, Bram shows Liberty frame-by-frame how falling for him is as easy as pie. If you would like to help Katie out and see this book get a publishing contract, please visit its page for its Kindlescout Nomination right here. 1. Write every day, even if it’s one paragraph scribbled on a napkin while your kid enjoys a happy meal. You may laugh at this, but every writer has done it at some point in his or her career. If that’s all the time you have that day to write, then grab it. We all wear many different hats in life, and the writer hat usually takes a backseat to everything else, so make it a priority every day. It’s helpful to take a notebook with you everywhere, so you can keep all your ‘paragraphs’ in one place. With technology, there are tons of great apps for note taking and writing for any iPhone or Droid. 2. Don’t be self-serving in your writing. What do I mean by that? If you’re writing fiction you plan to publish, be your own toughest critic. Just because the scene in chapter four is your favorite doesn’t mean it will be the readers’ favorite. Try to keep your back story to the bare minimum the reader needs to understand the past history. Being too long winded or carrying on for pages about something inconsequential to the scene at hand will take your reader out of the scene, and the last thing you want them to do is put the book down, and never pick it back up. I once read a book where the author went on for a whole chapter about the characters martial arts medals, belts, awards, skills etc. etc. when all he would have had to say was, “She held a black belt in every martial art in the modern world.” I put the book down and still haven’t finished it. 3. Find a trusted beta-reader or two. This is imperative and helps with tip #2. If you have two, but not more than three, trusted readers you can give your manuscript to they will help you ferret out what should stay, and what should go. You can send them your manuscript chapter by chapter or all at once when you are done with it. I suggest if you are questioning a scene and wonder how it might influence the rest of the book, send it out immediately for an opinion. Writers are great at self-doubt and your beta-readers will tell you straight whether they love it or hate it. 4. Disconnect from the internet when writing. Every writer is guilty of sitting down to write and find themselves hours later with only four words written. It’s really important not to let marketing and social media take up what precious writing time you have. The best author platform in the world will do you no good if you have nothing for the reader to read. In this day and age this will probably be the hardest part of your writing day. I’m guilty of it every day, but have learned when I’m really behind the eight ball on a book then turning off that Wi-Fi switch is the only answer. 6. If you don’t feel inadequate you aren’t doing it right. You can go ahead and read that again if you need to, I’ll wait. I said it exactly right, though. If you don’t feel inadequate with everything you write then you aren’t writing deep enough or hard enough. When your writing has all the emotions of your heart, and hours and hours of hard work devoted to it, you’ll start to feel like every other writer is better than you are. When you feel that way, whether it’s from the first time you sit down to write or two years later, then you’re doing it right. Just make sure you don’t let the self-doubt stop you from writing. And that leads me to my last tip. 7. You can’t please everyone. A third of the people will love you, a third of the people will hate you and a third of the people are indifferent. Write for the third of the people that love you. They will always outweigh the negativity of anyone who doesn’t like your work, and when you put out consistent, well written, and engaging stories the third that are indifferent will slowly move in with the third that love you. It takes a lot of work and months of angst and worry, but when that first five star review comes in you’ll find it was all worth it. Thank you, Katie for so graciously agreeing to kick off my new Writing Tips series! Katie Mettner writes inspirational romance from a little house in the Northwoods of Wisconsin. She's the author of the four part epic family saga, The Sugar Series, Sugar's Song being runner up for sweet romance in the eFestival of Words contest. Her other romance series, The Northern Lights Series and the Snowberry Holiday Series, are both set in Minnesota and are a mix of new adult and romantic suspense. Katie lives with her soulmate, whom she met online at Thanksgiving and married in April. Together they share their lives with their three children and two leopard geckos. 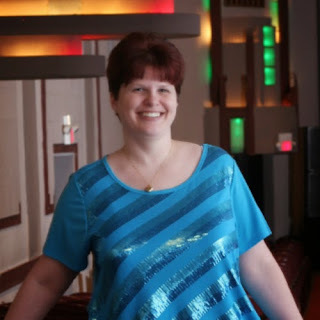 After suffering an especially bad spill on the bunny hill in 1989, Katie became an amputee in 2011, giving her the much needed time to pen her first novel, Sugar's Dance. With the release of Sugar's story, Katie discovered the unfilled need for disabled heroes and heroines! Her stories are about empowering people with special circumstances to find the one person who will love them because of their abilities, not their inabilities. Katie has a slight addiction to Twitter and blogging, with a lessening aversion to Pinterest now that she quit trying to make the things she pinned. Awesome post Lisa! I enjoyed sitting down and thinking about my favorite writing tips over the years. I'm glad I got to be the first to share, that made it easier :) I'll be checking back to read the next set of author tips. Great tips, Katie, thanks for sharing them, and best of luck with your latest book! Nice post. Thanks. I limit myself to four exclamation points a month and use most of them replying to friends posts. Good suggestions. I will print them out and keep them with me when I write.